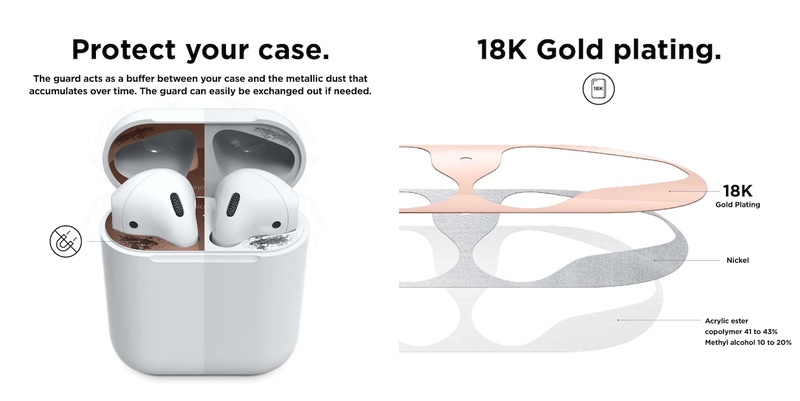 elago、AirPodsの充電ケースや蓋に砂鉄や金属片が付着するのを防ぐ「elago AirPods Dust Guard」を発売。 | AAPL Ch. The guard acts as a buffer between your case and the metallic dust that accumulates over time. 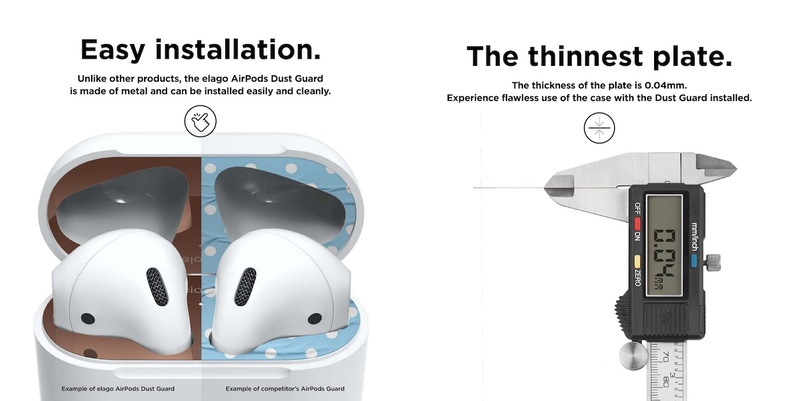 The guard can easily be exchanged out if needed.Unlike other products, the elago AirPods Dust Guard is made of metal and can be installed easily and cleanly.